Most of us think of a “weapons charge” as something like an armed robbery charge, and while armed robbery is indeed considered a weapons crime in the state of Colorado, weapons charges include a lot more than armed robberies. The legal category of “weapons charges” includes offenses dealing with both the possession and the use of firearms. Weapons charges include the illegal possession of certain weapons by any person and the illegal possession of any weapons by certain persons. The use of a weapon during the commission of a crime can also result in an additional criminal charge or a harsher penalty for the underlying charge. In Colorado, these are some of the crimes that are considered “weapons charges”: carrying a handgun without a permit, the illegal discharge of a firearm, assault with a deadly weapon, the possession of a weapon by a previous offender, enhancement of a deadly weapon, and the illegal purchase and sale of a firearm. WHAT OTHER CRIMES ARE CONSIDERED “WEAPONS” CRIMES? A person can be charged and prosecuted for possessing an illegal weapon even though no one was injured, threatened, or even if no one observed the weapon. The purchase, possession, and use of firearms are strictly regulated throughout this state, and some Colorado municipalities enforce their own additional firearms regulations. Denver, for example, bans assault weapons and the open carry of firearms. for anyone who has been convicted of a felony or of a misdemeanor domestic violence charge to possess a firearm. However, in 2012, the Colorado Supreme Court recognized one exception in People vs. Carbajal, which established that a previously convicted felon may possess a firearm for the purpose of defending his home, property, or person. for anyone under the age of 18 to possess a handgun, and it is also unlawful to provide or permit a juvenile to possess a handgun, with several exceptions specified by statute (such as when the juvenile is taking a hunting safety or gun safety class). for anyone who is deemed to have a history of drug abuse, alcohol abuse, or mental illness to possess a firearm. to possess a rifle with a barrel shorter than 16 inches and a length shorter than 26 inches, or to possess a shotgun with a barrel shorter than 18 inches and a length shorter than 26 inches. to knowingly possess a firearm if the manufacturer’s serial number or other identifying mark has been defaced or removed. to own, sell, or transfer a “large capacity” magazine that can hold more than fifteen rounds or can be easily converted to hold more than fifteen rounds. The statute does not apply to anyone who owned such a magazine on July 1, 2013 (when the law took effect) and has maintained continuous possession since that time. If you are charged with any violation of a weapons law in Colorado, you will need to consult at once with a qualified Denver criminal defense attorney. How can your attorney best defend you against a weapons charge in this state? 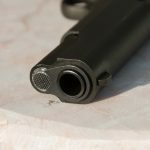 What follows is a brief and general explanation of the basic defenses that are typically offered – often with success – when a defendant is accused of a Colorado weapons violation. 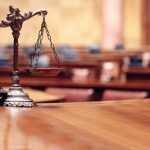 Of course, every case and every defendant is unique, so anyone who is facing an actual, specific firearms charge in Colorado should have the advice and representation that a skilled Denver criminal defense attorney can offer. 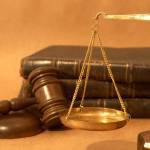 WHAT ARE THE BASIC DEFENSES AGAINST WEAPONS POSSESSION CHARGES? A number of weapons charges in Colorado require time in prison upon conviction. If you face a firearms charge in the Denver area, it’s like any other criminal charge. You have the constitutional right to remain silent. Be reasonable and polite to the police officers who arrest and book you, but do not answer any of their questions until you can speak with a good criminal defense lawyer. Clearly, the most basic defense against a charge based on the illegal possession of a weapon is the defense that the defendant was not in fact in possession of the weapon. In such cases, the prosecutor must “link” or tie the defendant to the weapon, and if no links or ties can be solidly established, the state’s case may be weak. A second possibility – for defendants who are allowed to own legal weapons – may be the defense that the weapon in question was not in fact illegal. Colorado law spells out several exceptions which may apply in some weapons possession cases. State law, however, allows no exceptions for gun collectors or for antique firearms. WHAT IS THE PENALTY FOR ILLEGALLY POSSESSING A FIREARM? If you violate a firearms law, and if you are convicted, you will face serious penalties in Colorado. Buying or otherwise acquiring a firearm in Colorado, when someone is prohibited from owning a firearm or when someone knows that the weapon is illegal, is a Class 4 felony in this state, punishable upon conviction by two to six years in prison, a fine of $2,000 to $500,000, or both a fine and imprisonment. If someone is charged with using a firearm illegally, the basic legal defenses are similar to the defenses against any type of assault charge. The possible defenses include self-defense, mutual consent, or proving that the “weapon” was not, in fact, a weapon. For example, robbers will sometimes place a hand in a jacket or coat pocket to pretend to have a gun. Even if a defendant is later convicted for the robbery, if that defendant and his or her defense attorney can prove that there was no weapon used in the commission of the robbery, the conviction will not be for the more serious charge of armed or “aggravated” robbery. Still, you could be accused of a weapons violation because of a misunderstanding, a misidentification, or even because of a story that has been entirely fabricated. Whatever the truth is, if you are arrested and charged with a weapons crime in this state, your attorney will find the truth and fight diligently in your defense. 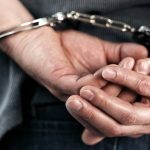 If you are charged with a weapons crime in the Denver area or anywhere in Colorado, you must have the aggressive defense that an experienced Denver criminal defense attorney can offer. What Are The Gun Laws In Denver?